Remove and replace fixtures – We work with several different manufacturers and suppliers to offer our customers a wide variety of fixtures including but not limited to taps, tubs, sinks, toilets, showers, garburators, etc. Gas Lines – Our skilled technicians can install gas lines to your new natural gas BBQ, outdoor kitchens, gas fireplaces and fire pits. Not happy where your outside meter is? We can work with you and SaskEnergy to relocate your existing gas meter to a new location. Renovations – We can assist you with your bathroom and kitchen renovations, providing your with expert advice on solutions for exhaust fans, gas ranges, fridge lines, etc. We are here to assist you with your renovation from start to finish. Sump Pumps and Pits – We facilitate the digging of a pit if you don’t have one, to repairing your pump, or providing you with a new one for all your water drainage needs and requirements. 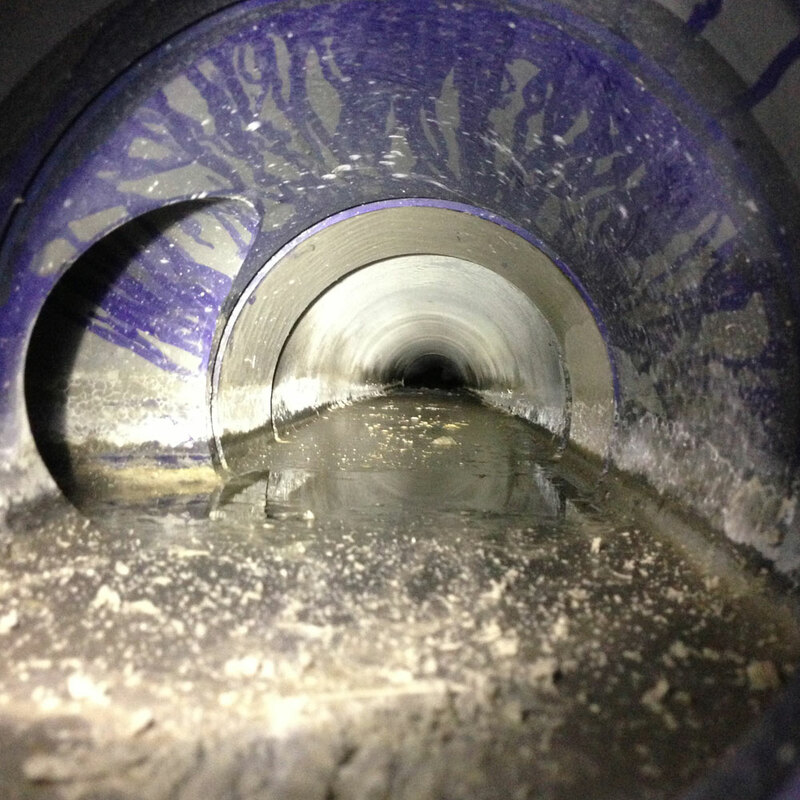 Drain Cleaning and Service – We clean your sewer lines on an annual basis to prevent unnecessary sewer backups caused from tree roots and debris in your drainage line. We also clean your pipes inside your home from grease going down your kitchen sink, to hair clogging your vanity and tub drains. In addition to these services, we also can unclog your toilets, vent stacks, and laundry drain lines. Water Heater Replacement – If you current water heater isn’t keeping up with your needs, leaking on the floor, or you are just running out of hot water, we can offer you several different solutions. We have several different styles and sizes of water heaters that can meet your needs. DCVA & RP Testing/Install – We can provide you with protection from water back-flows, by installing approved DCVA and RP products required by the City of Saskatoon. We also offer to perform the annual testing on these devices as to ensure that you and your neighbours are protected. 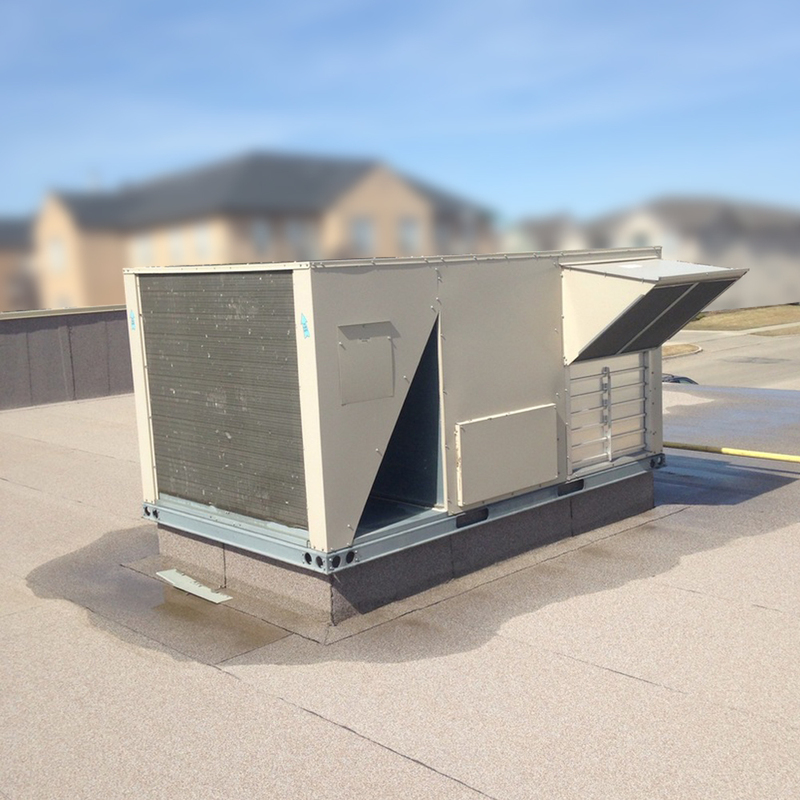 We offer full service on your Roof Top Equipment (condensers, make-up air units, air handlers, and heat-cool units), furnaces, air conditioning, humidifiers, unit heaters, radiant heaters and exhaust fans. We can assist you with upgrading your old air conditioning and furnaces to a higher efficiency which will in turn save you money. We offer full service agreements so that you can rest assured we will provide you with the recommended service and maintenance on your equipment so that you don’t have to worry about it when winter comes. We like to keep your equipment in the best working condition to eliminate those middle-of-the-cold-winter-night calls, which can potentially put your family at risk. We offer a wide range of products for your boiler needs, from high efficient condensing boilers to wall hung systems to steam boilers. We offer annual service agreements on all your boiler equipment which prolongs the life your boiler, so you can rest assured that everything is operating optimally. 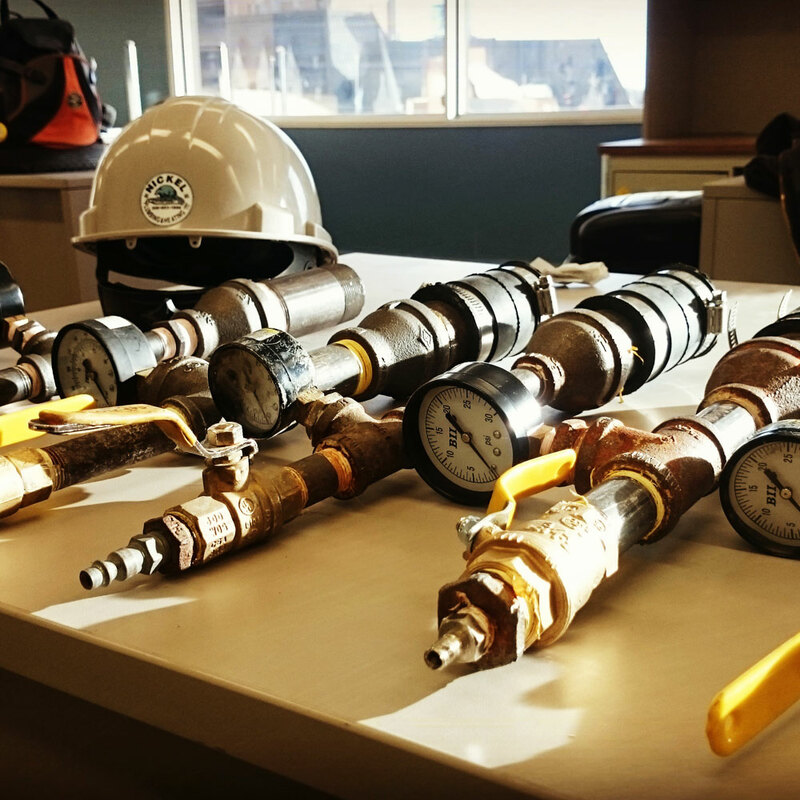 Our goal is to ensure that our clients are experiencing an efficiently working piece of equipment. In addition to regular maintenance, we have a broad range of boiler add-ons that can assist with your boilers functionality and longevity. Some of the products include side stream filters systems, boiler mag and hydra flow boiler protection packages, glycol and boiler feed tanks, etc. All of these products are available to be added to your boiler system to increase its lifespan. 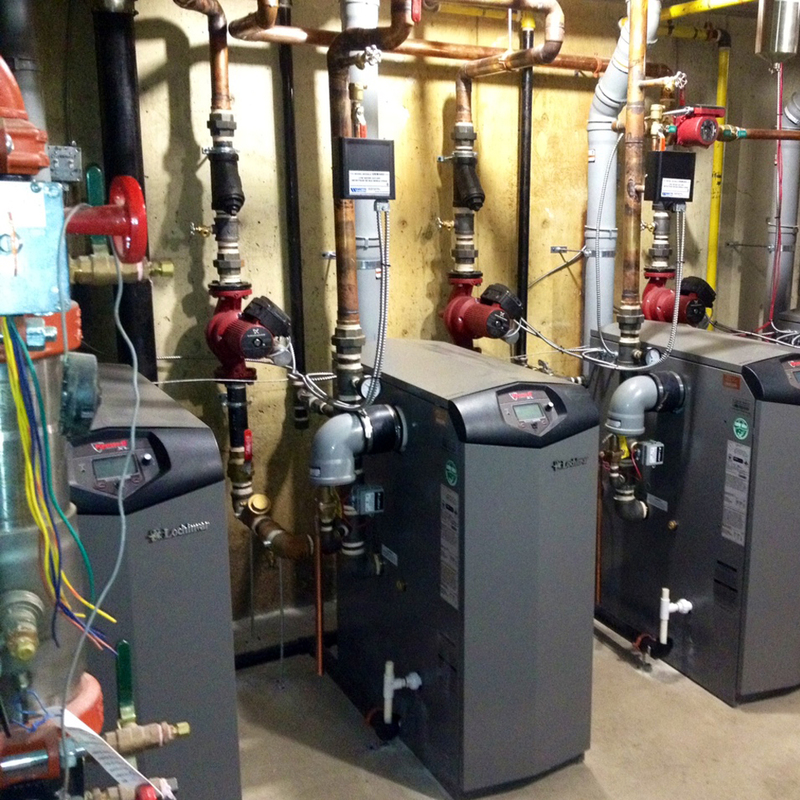 We specialize in Steam Boiler installs and maintenance. We have extensive experience in commercial steam boiler systems that date back to the early 1900’s, and are able to perform all aspects of maintenance including tube replacement. We also have done several residential steam boiler repairs and maintenance. We take a lot of care to retrofit new steam boilers into these existing systems, ensuring that they are done correctly and efficiently. Drain Cleaning and Service – We clean you sewer lines on an annual basis to prevent unnecessary sewer backups caused from tree roots and debris in your drainage line. We also clean your pipes inside your home from grease going down your kitchen sink, to hair clogging your vanity and tub drains. In addition to these services, we also can unclog your toilets, vent stacks, and laundry drain lines. Camera and Line Locates – We can locate lines in your floor and camera to find out where they are going. This can be very helpful when doing a basement renovation by eliminating expensive mishaps such as water lines being punctured, and sewer lines being damaged, etc.